A hardworking and compassionate man of faith, Edward Sherd lived a life of purpose while holding his loved ones near. 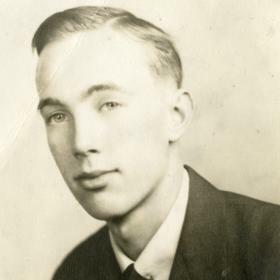 It was during the vibrant decade of the Roaring Twenties that Edward David was welcomed into the world by his parents, Welsey and Mildred (Eitelbus) Sherd, on April 14, 1927, in Grand Rapids, Michigan. The second of six children, he was raised in the family home on the Northeast side of Grand Rapids. Sadly, Edward’s father died when Ed was only 12, which left him getting a paper route in order to earn some money for the family. Between work and his school, he had very little time to play. Ed attended East Leonard School and Creston High School where he participated in ROTC. After high school he started working at a machine shop where he discovered he enjoyed working with his hands. Also of great significance during his formative years was the day Ed became born again, February 15, 1944, after being invited to attend church with some women in his neighborhood. Life was forever changed for Ed when he took note of a young lady named Betsy Pell who lived down the street. After falling in love they were married on April 8, 1948, at her father’s house. They honeymooned in a few places including Washington, D.C., New York, and then in Canada as they traveled home. They rented for a short time before buying a home on Paris NE. As their family grew with the births of their children, David, Doug, Paul, Sue, Kathleen, and Lynn, they built their longtime home on Cannonsburg Road in Rockford. Around home Ed was the disciplinarian, but he also worked hard to support his family. After working at the machine shop, he went to work for Jordan Buick, which became Staal Buick. 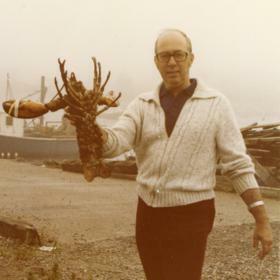 After moonlighting on the side for a while, Ed eventually made the decision to open his own place, North End Transmission, in 1959. He enjoyed the work, but he put in long hours every day. Throughout his life Ed was a man of many interests. As a family they enjoyed many vacations including short day trips as well as fishing and camping trips and long distance road trips that brought them around the country. 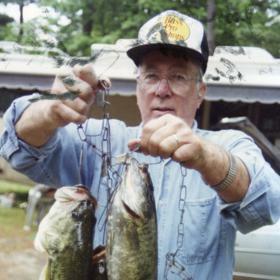 Ed enjoyed fishing at both Silver Lake and the Muskegon River at Brower Park as well as small game hunting. 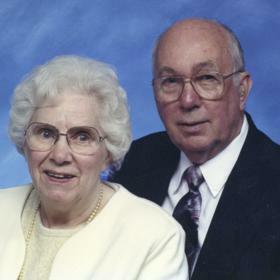 He was active at his church and served as Sunday school superintendent and an elder. Ed also served on the board at Rest Haven Homes. At home he could often be found in his recliner, and after moving into Rest Haven Homes he became an avid reader. Ed was thrilled to be a grandfather and great-grandfather, and each of his grandchildren and great-grandchildren knew they were loved. 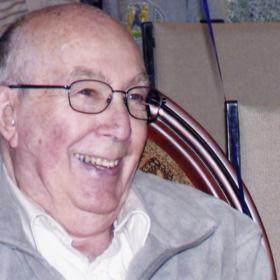 Compassionate, generous, and eager to serve, Edward Sherd was a lover of people with a contagious zest for life. He will be forever missed.